We can help you tell it. Becoming Writers offers free and low cost memoir-writing workshops and ongoing support to new writers of all backgrounds and experiences. Come write with us… in Sri Lanka! WriteSL is a memoir-writing retreat in Unawatuna, the southernmost tip of Sri Lanka. Named #3 in Best Travel Destinations by Harper’s Bazaar UK, find yourself inspired by beaches, temples, tea trails and all the rest the country has to offer. I’ll handle logistics and (gently) keep you on task. We stay at Bedspace, the hip and highly rated guesthouse & garden kitchen. Bedspace Kitchen serves delicious, healthy food from locally sourced ingredients, including fresh juice and smoothies. Daily writing workshops will engage you in conversations and introduce mentor texts to inspire your writing, as well as deepen your connection to our setting. WriteSL is an opportunity to restore, renew and transform, as well as sharpen your practice as a writer. Enjoy delicious food including traditional curries, swim in the salty ocean, get lost in jungles, think critically about the craft of memoir and, most importantly, write! It’s the perfect place to dig into yourself and your creativity. Participants are encouraged to arrive at least one day prior to the start of your session and stay as long as you want. Room rates for additional days are available online (minus a 20% discount). The act of writing can be a powerful vehicle for self-discovery, personal transformation, and social change. Memoir writing in particular can empower individuals and communities to foster enduring meaning for themselves, a stronger sense of identity, courage for growth and change, and vision to seek and restore balance to individual lives and communities. Personal Matters is an 8-week personal memoir-writing workshop for writers interested in making meaning out of the conflicts of our lives and finding personal and socially just resolution through the act of creating outstanding literary nonfiction. The workshop is a cross between the NY Writers Coalition workshop model with a trauma-informed curriculum developed by freelance writer and writing instructor Melissa Petro. This workshop incorporates lecture, mentor texts, and writing exercises with positive, supportive feedback as well as critique of ongoing projects. Personal Matters is ideal for anyone seeking to explore the therapeutic benefits of writing their own personal narrative and/or those interested in learning how to use lived experiences to support arguments in persuasive writing. Writers of all genres and levels of experience are welcome. This workshop method is designed to deepen your writing skills, while bringing new energy and encouragement to your writing. It allows writers of all backgrounds, ages, and genres to grow together as writers. REGISTER HERE or CALL (718) 398-2883. Make 2015 the year you finish (or start) writing your memoir! One-on-one mentoring starts at $50 per hour. Email melissa.petro@gmail.com for more information. If you are a social worker or social service provider, you will be asked to provide additional information to receive the discounted rate. Register here or call 718-398-2883. 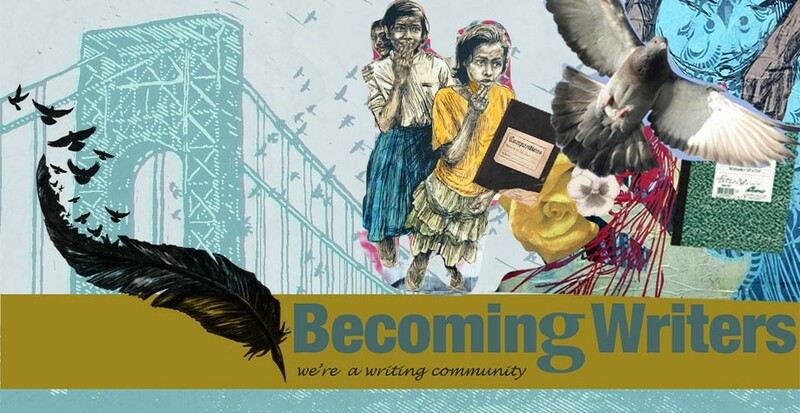 March 30, 2014: Happy to announce there’ll be a FOURTH round of Becoming Writers at Washington Heights CORNER Project, which began as memoir-writing workshops in Spring of 2013. This round will focus on poetry and spoken word under the direction of the fabulous and talented Karen Ladson. A HUGE thanks to Poets & Writers through the New York State Council of the Arts for their ongoing support. NYWC is very pleased to announce a City Voices event: Personal Matters: Writing for Personal Discovery, Individual Transformation & Social Change, an 8-week personal memoir-writing workshop for writers interested in making meaning out of the conflicts of our lives and finding personal and socially just resolution through the act of creating outstanding literary nonfiction. The workshop will be facilitated by NYWC workshop leader & Founder/Instructor of Becoming Writers Melissa Petro at 80 Hanson Place in Brooklyn. The cost to attend is $320 or $275 (social service rate) Click here to register and for a look at the weekly schedule.